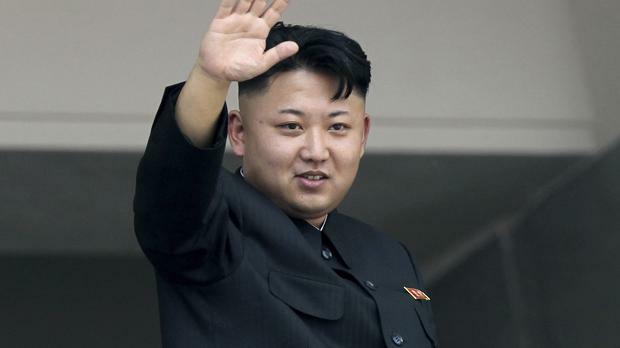 North Korea: What's it like to visit the world's most secretive State? The controversial release of The Interview has put Kim Jong-Un and North Korea back in the spotlight, but what can tourists actually see? As people begin to ponder their plans for this year’s holidays, it is a safe bet that few will be considering North Korea. The end of year furore over the Sony film, “The Interview”, the condemnation of the Democratic People’s Republic of Korea (DPRK), to give the country its official name, over human rights, and half-remembered stories about the detention of American travellers, are likely to put most people off. Even those who might consider going will be concerned about food – isn’t the country in the midst of a famine? – hotel standards and perhaps shocked by the high cost of travel to one of the world’s most off-beat destinations. It is true that tourism is underdeveloped in North Korea. Domestic tourism is largely confined to visits to “historic sites” associated with the Kim family who have run the country since the 1940s or to the occasional visit to a resort for a privileged few. Such outings are organized by factories, schools or similar institutions and the idea of a family holiday seems not to exist. Beyond that, domestic tourism, so familiar in the rest of Asia, does not exist and North Koreans do not go abroad except on business. Tightly controlled guided tours remain the norm, but as the country has experienced some measure of economic recovery, more places have been opened for visits. Foreign tour operators work closely with the State General Bureau of Tourism, whose staff accompany all tours. A tour can range from one person upwards. The itinerary is strictly controlled and hard to change once the tour has started. It will also be very full, with little spare time. Visits to monuments and museums will make up much of the programme, although more unusual themes are beginning to creep in. There have been a number of golf tours, for example, as well as cycling and even Frisbee – though why anybody should want to go to North Korea to throw a Frisbee is hard to fathom. Contrary to a widely held belief, most tours are incident-free. What causes problems is a refusal to follow the guides’ instructions about such things as photography and the distribution of religious material. North Korea is of course not the only country where tight rules apply but it does seem to attract those who believe that they have the right to do things that are not allowed. And despite all the restrictions and the petty frustrations, tour operators report an increasing number of repeat travellers. So what will you see and what will you learn? Much depends on the attitude you bring with you. If you want to confirm your prejudices about a totalitarian state manned by zombies, you will find it. Whether it is the women traffic police in their comic opera outfits directing relatively non-existent traffic, or schoolchildren marching in large groups on schooldays and holidays alike, you will see it. The faultless performances at the theatre or the circus and the ubiquitous men (plus some women) in uniform are all there. The monuments are vast, the public respect for the leaders whose pictures are everywhere are unavoidable. The history of Korea presented in museums and at the many ersatz historical sites is not that which most Westerners are likely to be familiar with. The guides do accompany you everywhere and their constant fretting about your behaviour can become irksome – read any of a hundred blogs by those who have spent five or seven days in the country. Yet there is more. Just before I went on my only visit as a tourist, our party were briefed by the journalist, Barbara Demick, whose book about North Korea, Nothing to Envy, received high praise. One statement stuck with me since it echoed something I had long since discovered. “Use your eyes”, she said. “Don’t go to sleep on buses, watch and you will learn”. Especially outside Pyongyang, just looking will teach you a lot. Accept that the guides are there and do not try to put them on the spot. They have long years of practice at deflecting hostile questions and certainly will not demean their leaders. Yet they will often be surprisingly forthcoming about their own lives and problems, and even the country’s problems, if approached in the right way. International tourism in theory dates from the immediate aftermath of the 1950-1953 Korean War, with the establishment of a travel company in August 1953. This, if true, was perhaps an assertion of normality since quite who would have come to a country in ruins and lacking any tourist infrastructure is not clear. Real international tourism seems to date from the 1960s, when groups began to arrive from other communist countries. As they would have done at home, they stayed in seaside health resorts either in the mountains or along the East Coast. A number of these survive and are being rehabilitated for today’s visitors. The 1980s saw a more determined effort to attract tourists, or at least foreign currency. The DPRK joined the World Tourist Organization in 1987 and for a short time provided statistics. These showed a rise from 43,000 in 1988 to 117,000 in 1992. It later joined the Pacific Area Tourist Association, although it has not been a very active member. 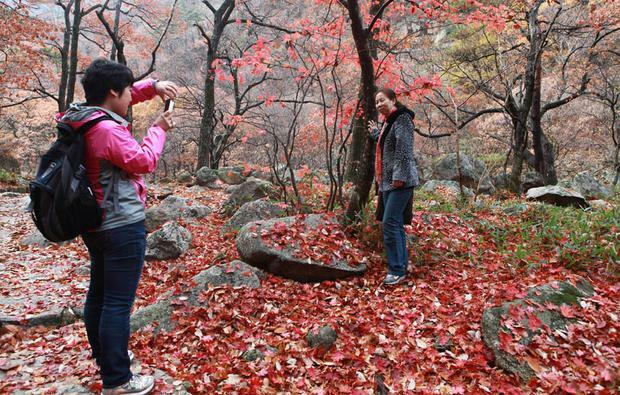 Chinese tourists began to arrive as the Chinese began to develop a foreign travel habit. The first Western tourists began to arrive under the auspices of Regent Tours of Bristol and other adventurous tour companies. The first foreign guidebook appeared in German in 1993, adding to the small amount of travel literature produced in the DPRK. New hotels appeared in Pyongyang and other cities. The numbers of visitors were small, however, and could not compensate for the blow dealt to North Korean tourism by the changes in Eastern Europe and the collapse of the Soviet Union; citizens of those countries could now travel the world and North Korea was way down their wish list. Further blows came in the 1990s, with the collapse of the economy and the famine. Tourism did not completely dry up but it was reduced to a trickle. The collapse of much of the transport infrastructure restricted travel. International aid workers, both residents and visitors, took up some of the empty hotel spaces but added to the fear of prying outsiders. Such visitors as made it to North Korea found that their tour parties were often very tightly controlled. There was particular concern over journalists travelling as tourists and a constant worry about what they might photograph. Chinese, who did not need visas, continued to come, especially to the Rajin-Sonbong Special Economic Zone in the north-east, where casinos provided gambling venues after 1991. 'The Interview' posted outside Arclight Cinemas in Los Angeles. A new development in the late 1990s was the beginning of South Korean tourism. South Koreans were even more tightly controlled than other tourists. At first they were limited to the Diamond Mountains, a famous beauty spot in the south-east of the country. Later they could also go to the former capital at Kaesong, also in the south. These arrangements collapsed in 2008, after a South Korean tourist was shot dead at the Diamond Mountains. The South Korean Hyundai Company that had put up the money for the facilities at this site and which had ran the tours to both places tried to restart them but the South Korean government was unwilling to agree. ventually the North Korean authorities took over the Diamond Mountain facilities, without compensation, and made an unsuccessful attempt to run them for other tourists. Other tourists continued to come, though not in vast numbers. Apart from the Chinese, all tourists need visas. These were denied to Israel, United States and South Korean passport holders, though Americans were allowed in for the regular mass performance, known as “Arirang”, since 2002, and eventually restrictions on American passport holders seemed to be lifted entirely. As for the history, it's important we show some awareness of why there are no ancient cities in North Korea and why resentment against the West and especially the United States is so widespread. Dispute their version, if you must – and you might be surprised to find that they will accept that there are other versions than their official one – but do it politely. 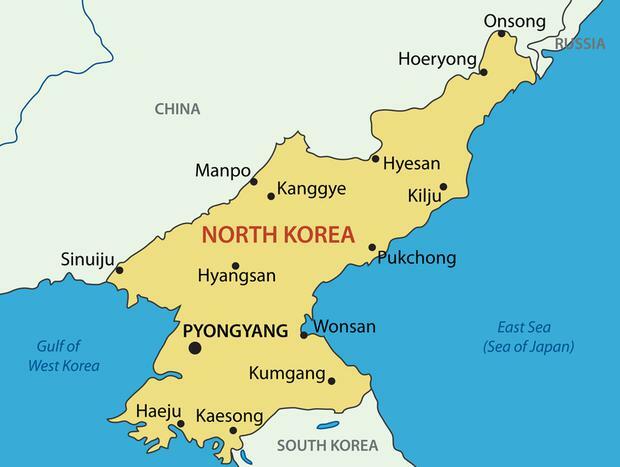 And if you decide to write up your experiences, do not do so as though Chicago, London or Sydney is the norm – North Korea is different. 1. Kim Il Sung and Kim Jong Il statues in Pyongyang. 2. Kumsusan Memorial Palace, where Kim Il Sung and Kim Jong Il lie in state. 3. Korean War Museum, Pyongyang. 4. Korean War Memorial, Pyongyang. 5. Arch of Triumph, Pyongyang. 6 Kim Il Sung’s family home at Mangyongdae. 7. Museums of gifts to Kim Il Sung and Kim Jong Il at Mount Myohyang. 8. Panmunjom and Kaesong – for the demilitarized zone. 9. Wonsan on the East Coast – recently opened for tourism. 10. Hamhung – industrial and resort town recently opened for tourism. J E Hoare was the first British representative in North Korea, serving as chargé d’affaires of the British Embassy from 2001-2002. He is currently a Research Associate at the Royal Institute for International Affairs, and an Honorary Research Associate at the School of Oriental and African Studies, University of London. Among his many published works are A Historical Dictionary of the Democratic People’s Republic of Korea (Lanham, Maryland: Scarecrow Press, 2012). This essay is derived from the entry of tourism in that book.